Diamond Details: 5 emerald diamonds, 40 baguette cut diamonds, and 118 round brilliant cut white diamonds of F color, VS2 clarity and excellent cut and brilliance weighing 3.95 carats total. 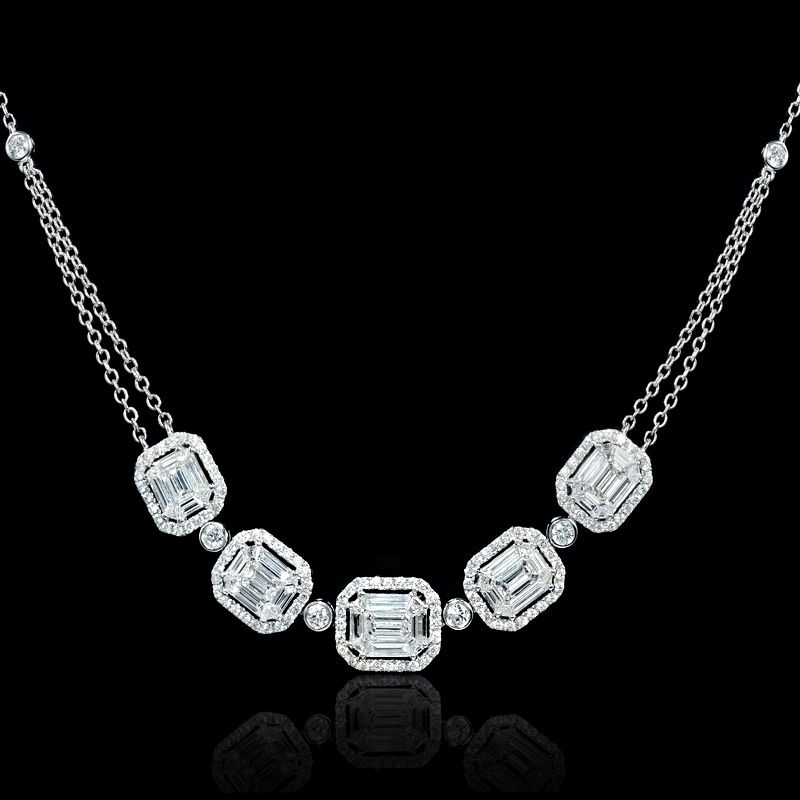 Necklace details: 18k white gold necklace. 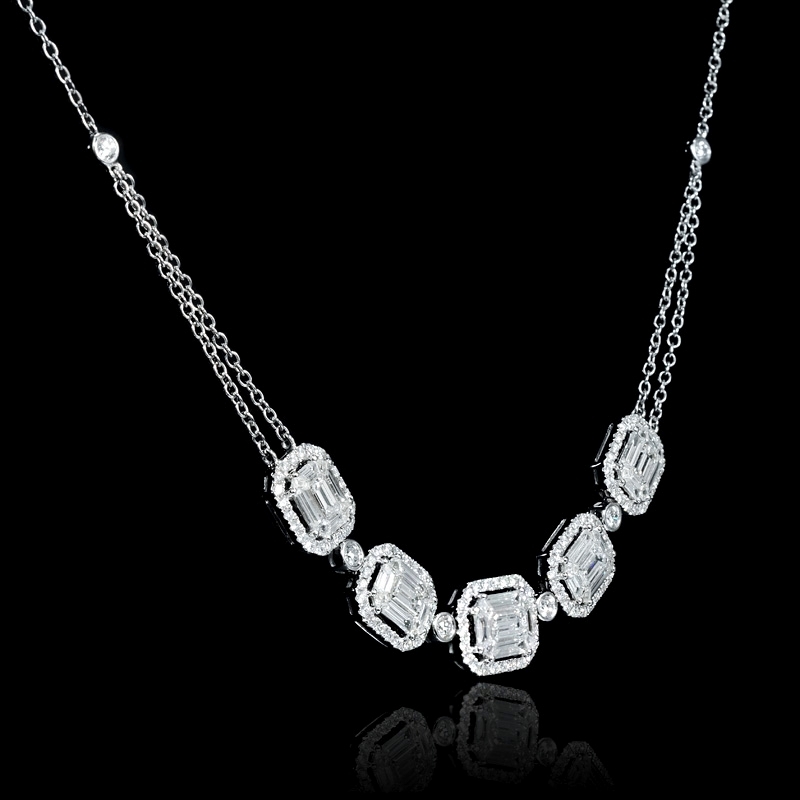 Measurements: Chain measures 15.5 inches in length and the drop measures 9mm in length and 11mm wide. 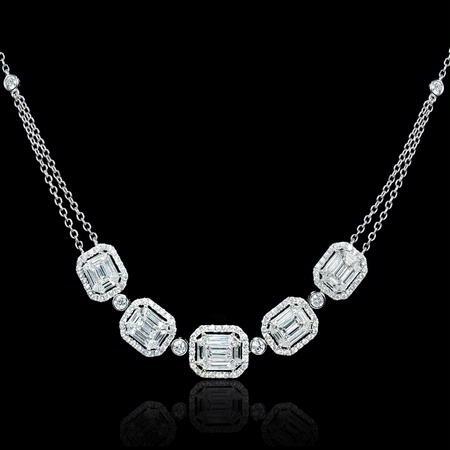 This amazing 18k white gold necklace, designed in Italy, contains 5 emerald diamonds, 40 baguette cut diamonds, and 118 round brilliant cut white diamonds of F color, VS2 clarity and excellent cut and brilliance weighing 3.95 carats total. 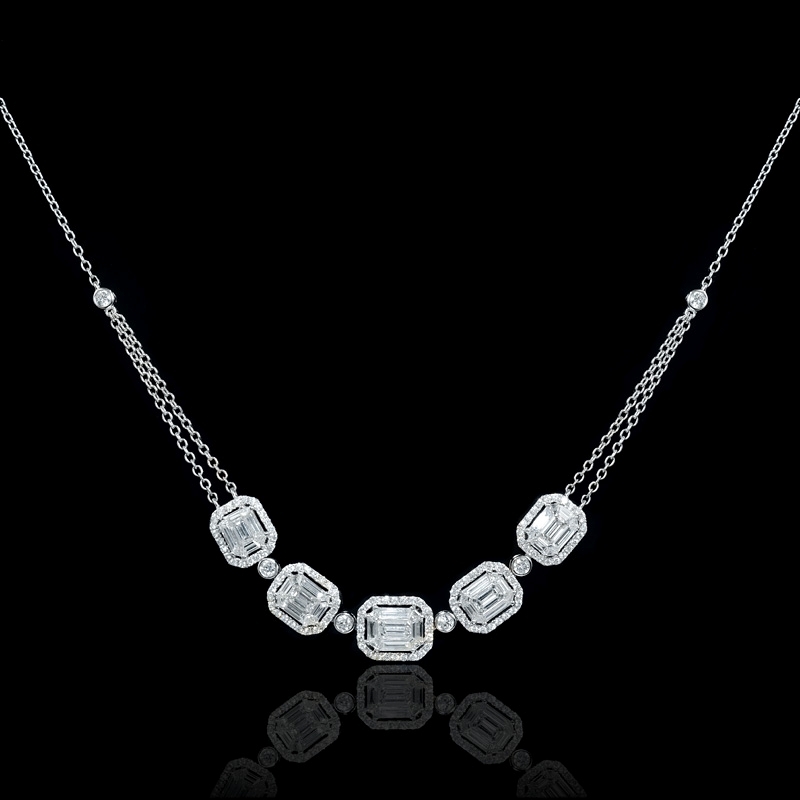 The diamond necklace measures 15.5 inches in length and the drop measures 9mm in length and 11mm wide.